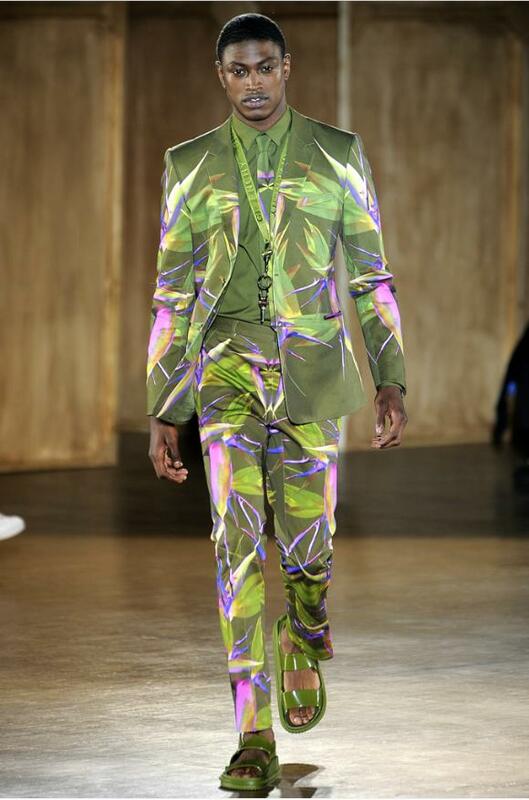 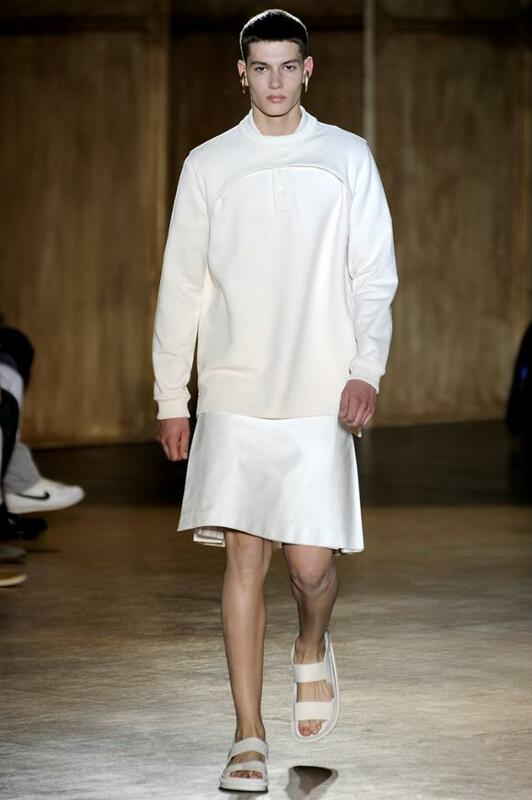 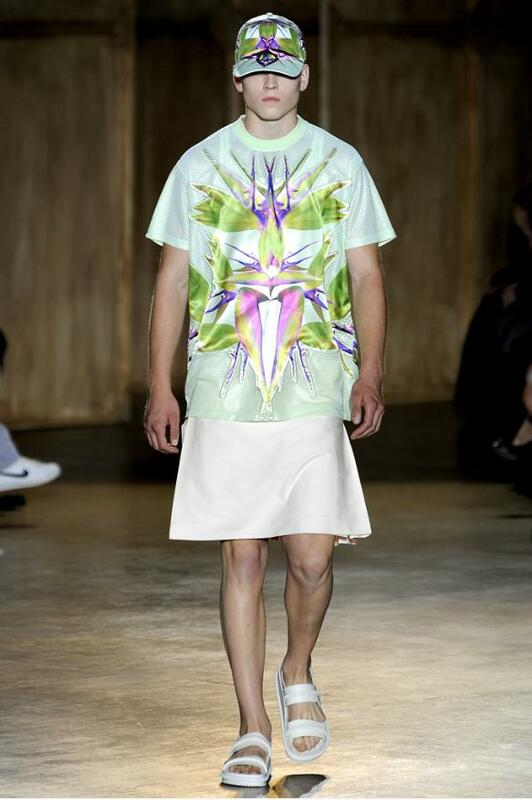 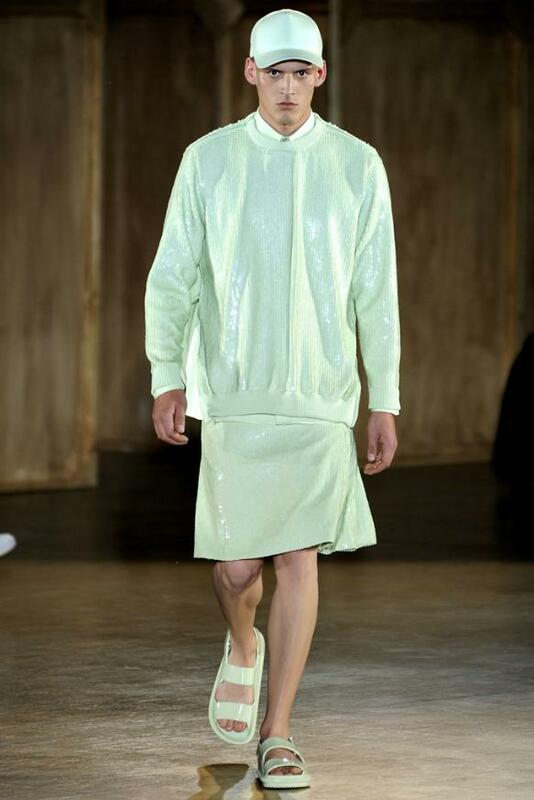 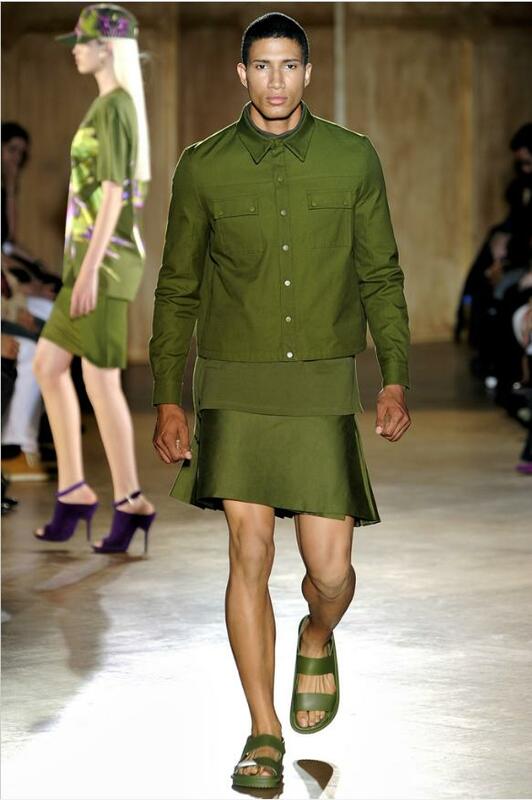 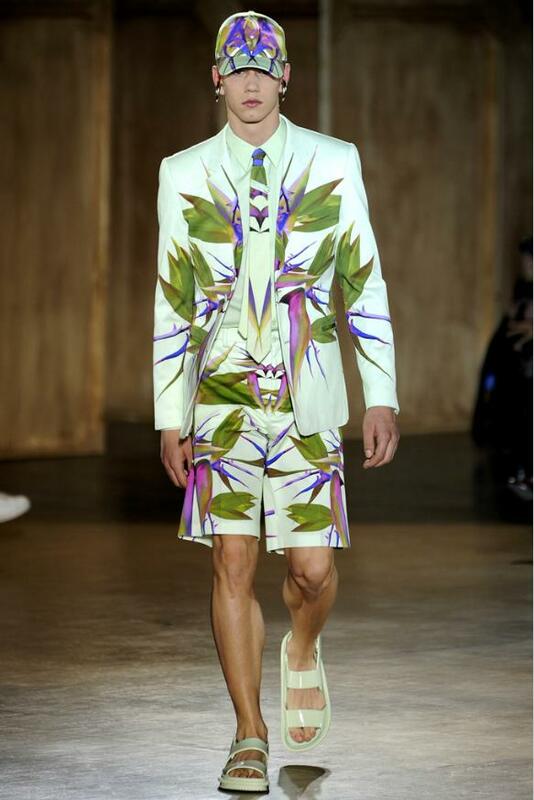 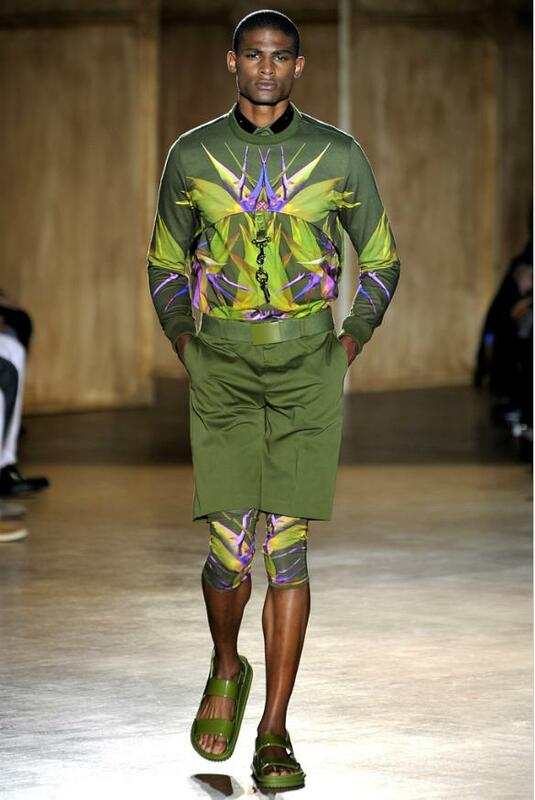 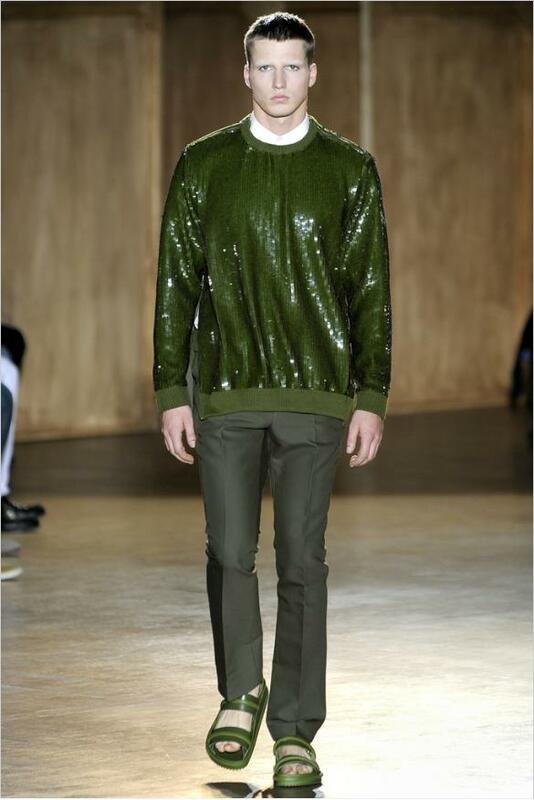 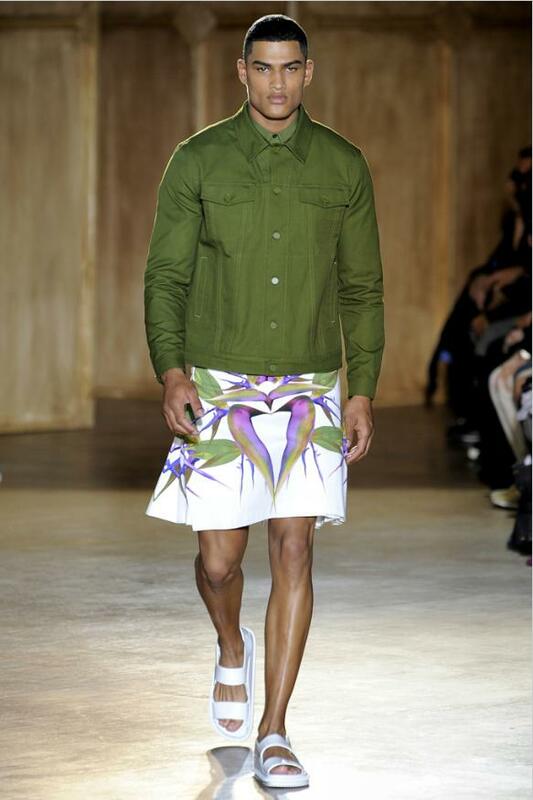 I’m looking again at Givenchy’s Men spring/summer 2012 collection, my favourite show in Paris Men’s fashion Week. 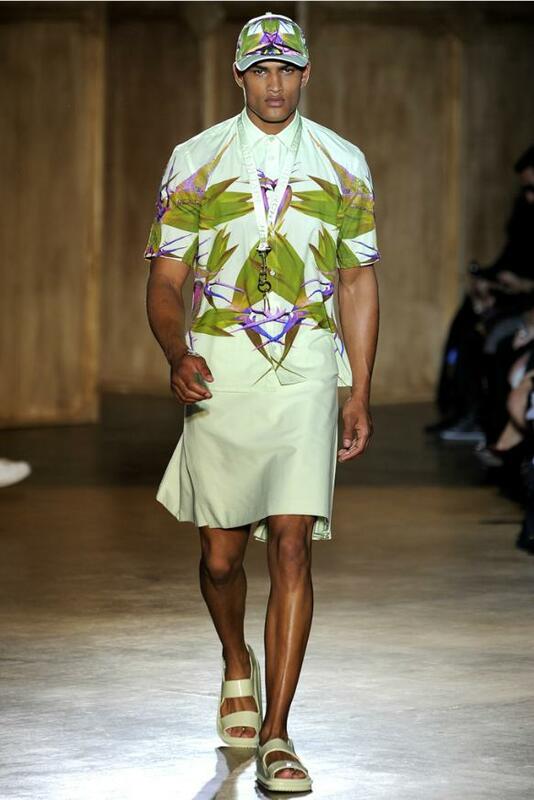 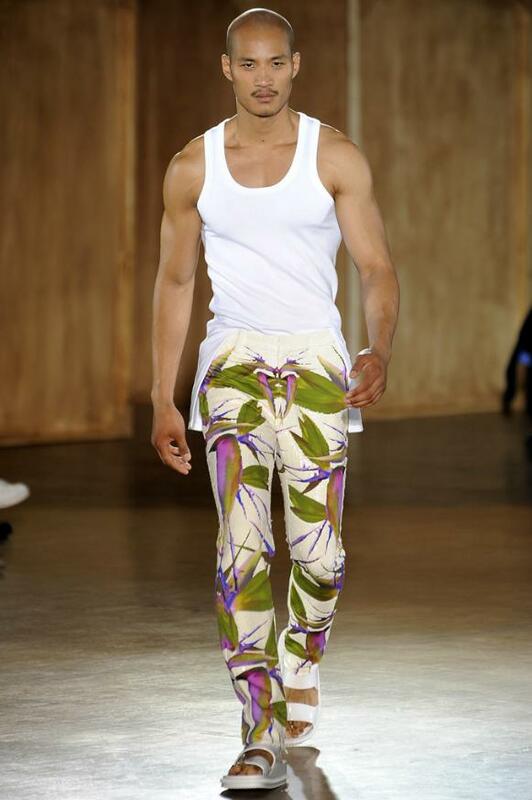 I think Ricardo Tisci really successfully managed to create masculine and modern clothes even with the use of kaleidoscopic arrangements of loud prints he called “Bird of Paradise” which could have been easily gone to a bad tacky side. 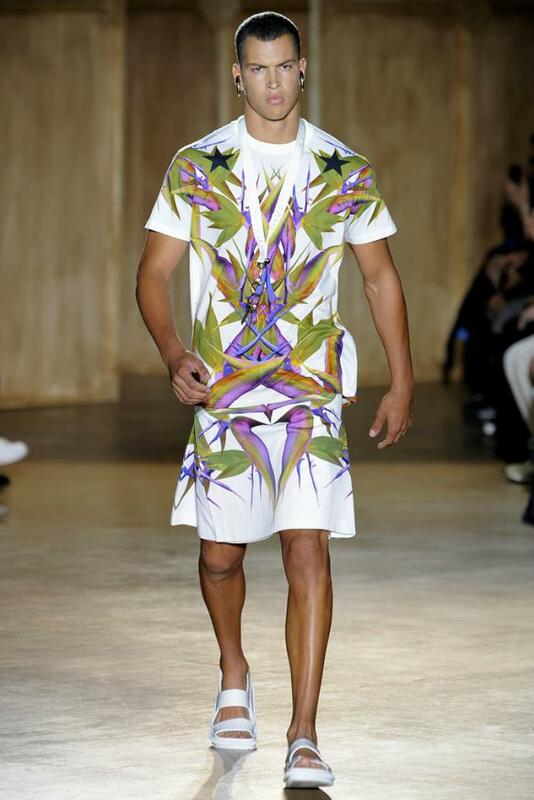 But with Ricardo Tisci's great trained eye the Givenchy men’s collection for next year springs/summer look so refine, fun, romantic and exciting. 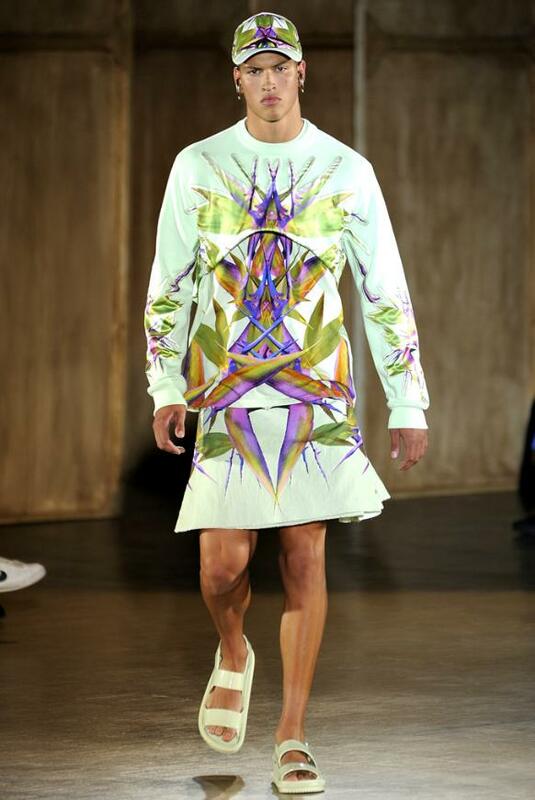 Tisci fused the bright coloured prints with sportswear and street clothes, mixing mesh basketball shirts, Bermuda shorts, sweatshirts, kilts and leggings. 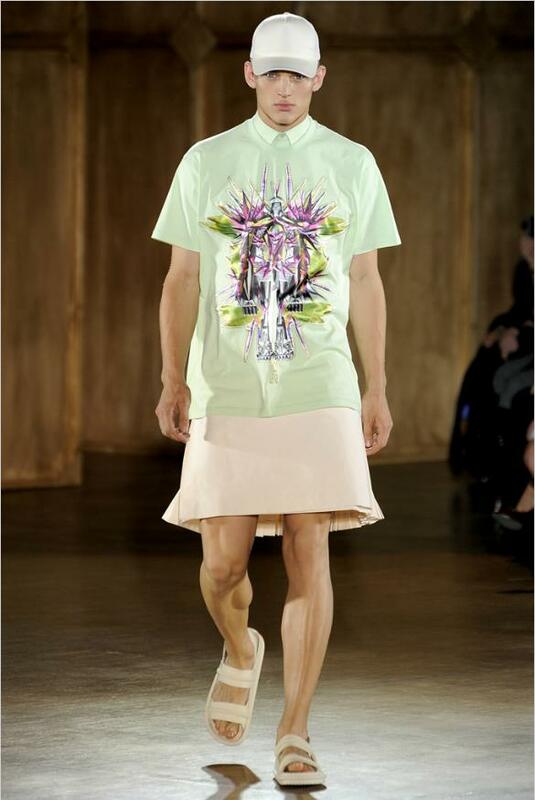 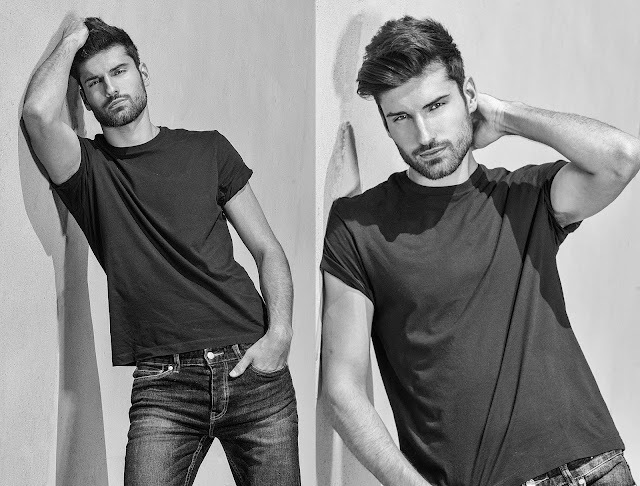 The result is a collection that is fashion forward and very inspired.